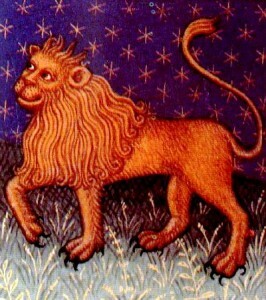 Leo, the fifth astrological sign of the zodiac and a fire sign, have characteristics like the lion that represents them: they can be warm-hearted, generous, and love the spotlight. But on the flip side, the have a characteristic need for attention, they can be seen as selfish, and their overwhelming personalities may seem pompous or overpowering before you get to know them. Leos tend to dominate the scene. They are completely extroverted, wonderful at socializing, and very creative spirits. Often, their creativity manifests itself in leadership positions, with other people feeling naturally inclined to follow their lead. If the situation allows for it, you can go so far as to give a Leo the impression that they are in control. If even they aren’t, this false sense will make them warm up to you. Leos have no problem speaking their mind and questioning the status quo. There is a simplicity in the type of leader they are: they aren’t sneaky, they are up front in what they want and people tend to respect that. Much of a Leo’s strength can also become a weakness. Their pride and strong will, if not tailored to appropriate situations, can become arrogance and pompousness. Be careful of a Leo who refuses compromise: they are exhibiting far too much of their strong side, without displaying the humane and caring traits.